Its the hardest thing - someone at your work is drinking and its affecting their work and yours - what do you do? 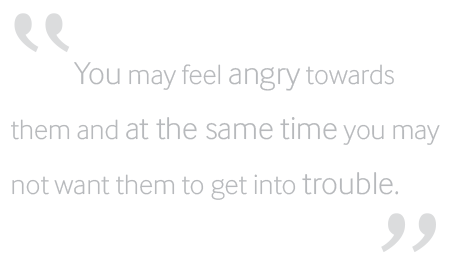 You may feel angry towards them and at the same time you may not want them to get into trouble. You may have tried mentioning it to them, but this may not have worked. You may even be worried their drinking is affecting customers or clients, or even safety at work. The simple thing to do is first be sure that alcohol is an issue - it may not, there may be other factors involved. Are you sure? How do you know? If you really want to help your colleague, the best thing to do is start with an open discussion. Find some time to talk to them outside of work hours and a quiet space - don't go to a pub, choose a cafe or a park. Start off by stating that you're concerned about them and that you want to check something out - then say that you have concerns that drinking may be affecting their work - and give your reasons why. Give them a chance to respond before proceeding. Do they think alcohol is affecting their work? They may refuse to talk about it and walk away, they may get angry - at least you've done your best. Leave it at that. If they do want to get some help for their drinking they can look at the support options available - well done!